Every year, we say the same thing: “Surely, by now, the law of employment would be relatively settled.” And yet we continue to see precedent-setting court decisions, ongoing unpredictability, and significant legislative changes. In 2017, we saw the Ontario government announce the most dramatic changes to employment standards legislation in decades, the Court of Appeal continue the uncertainty regarding the enforceability of termination clauses, ongoing confusion regarding the entitlement to bonuses after dismissal, and a tidal wave of sexual harassment scandals impacting well-known celebrities. We have done our best to identify the developments in 2017 that we think had, or will have, the most significant impact upon Canadian employment law. They are reviewed below, and as usual, we refuse to be limited to a “top 10” format. The Fair Workplaces, Better Jobs Act, 2017 (Bill 148) introduced sweeping changes to the Employment Standards Act, 2000 (as well as the Labour Relations Act), including minimum wage increases, equal pay for equal work regardless of the employee’s status (part-time, casual, temporary, or seasonal), an onus on organizations to prove the independence of “contractors”, enhanced leave and vacation entitlements, and increased rights of workers to request schedule changes. Many of the requirements were set to come into effect as early as Jan. 1, 2018. Employers must review and update their policies and procedures in order to ensure compliance with the new laws. In addition, employers should assess their budget in light of anticipated labour cost increases. Read more about this topic in our blog post and Stuart’s comments in Canadian Lawyer Magazine. Furthermore, Rudner Law has prepared a Guide to Bill 148. In recent years, we have seen courts approach the enforceability of termination clauses in seemingly contradictory ways. After years of unpredictability and cases which seemed to reject clauses for seemingly minor drafting issues, in 2016 the Ontario Court of Appeal in Oudin v. Le Centre Francophone de Toronto adopted a more purposive approach, upholding the termination clause in question even though it was not perfectly drafted (the provision potentially offered a notice period below that required by the Employment Standards Act, 2000 (ESA), did not provide for benefit continuation, and failed to mention severance pay). In doing so, the court relied on a severability clause. The decision seemed to signal a more common-sense approach, where the intent of the parties would be followed despite technical shortcomings in a clause. However, in 2017, the Ontario Court of Appeal struck down a termination clause in Wood v. Deeley which did not expressly provide for benefit continuation during the notice period, and also failed to mention severance pay. Although the employer had, in fact, continued to pay for the employee’s health and dental plan and offered to contribute to her RRSP during the notice period, the court confirmed that a breach or potential breach of the ESA will render a termination clause invalid, regardless of the actual impact on the employee. While seemingly at odds with Oudin, the contract in this case did not have a saving clause and, to the contrary, seemed to attempt to say that there would be no entitlements other than those explicitly referenced. The employee argued that this provision was void as it excluded his entitlement to his commission, while the employer argued that the severability clause should be used (as in Oudin) to sever this statement from the termination provision. Again, the court confirmed that “where a termination clause contains ‘even one’ instance of contracting out of an ESA employment standard, the clause is void.” The severability clause could not save the termination provision - it was struck down, and the common law applied. Both Wood and North confirm that a breach or potential breach of the ESA will render a termination clause invalid. This is particularly relevant where an employer uses language making the clause inclusive of the employee’s entitlement on termination and states that the employee will have no entitlements beyond those set out in the contract. A better solution is to use a “saving provision” that explicitly states that if the clause currently or in the future falls below the requirements of the applicable legislation, it should be interpreted so as to comply with those obligations. We note that just before finalizing this review, we learned of yet another Ontario Court of Appeal decision on this issue. More details to follow in a forthcoming blog post. Contrary to popular belief, most employees in Canada do not automatically have a probation period during which they can be let go without cause or notice. If employers want to impose such a period, they must do so via contract. Historically, the view has been that to be enforceable, a probation clause must be detailed and unambiguous. However, in Nagribianko v. Select Wine Merchants Ltd, the Ontario Court of Appeal affirmed the decision of the Divisional Court which found that a very brief probationary clause simply stating “Probation…six months” was enforceable, and that the employee was not entitled to anything more than the one week of pay in lieu of notice of dismissal pursuant to the Ontario Employment Standards Act, 2000. “Unless the employment contract specifies otherwise, probationary status enables an employee to be terminated without notice during the probationary period if the employer makes a good faith determination that the employee is unsuitable for permanent employment, and provided the probationary employee was given a fair and reasonable opportunity to demonstrate their suitability”. To learn more about this case, read our blog post. Was the conduct of the defendant toward the plaintiff outrageous? Did the defendant intend to cause emotional stress or did he/she have a reckless disregard for causing the plaintiff to suffer from emotional stress? Did the plaintiff suffer from severe or extreme emotional distress? This decision has significant implications for future workplace harassment claims. Even if an employee cannot identify a specific protected ground under the Ontario Human Rights Code, she may now seek compensation for the tort of harassment. The last few months of 2017 have seen a dramatic shift in the landscape with respect to sexual harassment. While harassment has been a focus for years, including Bill 168, the Jian Ghomeshi scandal, and Bill 132, the fall of 2017 has seen the fall of countless stars and industry leaders across North America. Virtually overnight, we have gone from a society where the consequences of sexual harassment were often treated as a cost of doing business to one where organizations will cut ties with anyone at the hint of a sexual harassment scandal. The shift began with the Harvey Weinstein scandal, and has caused celebrities including Charlie Rose, Matt Lauer, Kevin Spacey, Louis C.K., and Gregg Zaun, to name a few, to be unceremoniously “dropped”. While most employers do so out of fear of bad publicity, not taking disciplinary action can also put the employer on the hook for future liability, as employees may come forward with harassment complaints which can result in extraordinary damages against the employer, especially if it can be proven that they knew about the harassment and did nothing to stop it. The #metoo movement was a response to the new focus on sexual predators in the workplace, and it has demonstrated, sadly, the prevalence of sexual harassment in our society. Finally, victims feel that they have a voice and will be heard, and organizations are responding and penalizing offenders. Interestingly, in Colistro v. Tbaytel, a decision released in June of this year, the trial Judge found that the company knowingly hired an executive who had previously sexually harassed the plaintiff. The court held that this constituted a constructive dismissal and awarded damages against the company. Additionally, the judge awarded extensive damages ($100,000) for the company’s bad faith conduct. This decision is a useful reminder that “the Damages Formerly Known as Wallace”, which we now typically refer to as moral, bad faith, or Honda damages, are still relevant. Last year, Bill 132, which amended Ontario's Occupational Health and Safety Act (OHSA), came into force in Ontario, creating new obligations for employers to take reasonable steps to prevent and address sexual harassment in the workplace. In light of Bill 132 and the recent change in the social climate, employers would be wise to be proactive in ensuring their workplaces are free of harassment. As Stuart asserted in an earlier blog post, in order to take significant steps toward eliminating sexual harassment from the workplace, we have to remove any notion that it is simply a cost of doing business. In a subsequent post, Stuart noted that the historically low damages awards in sexual harassment and related cases in Canada send the wrong message. We are working with many of our clients to update their policies and procedures in order to address these issues. In recent years, we have also seen social and media criticism of organizations, particularly restaurants, that insist on sexualizing their female staff by forcing them to wear revealing outfits. On International Women’s Day (March 8) of this year, the Ontario Human Rights Commission released Not on the Menu: Inquiry report on sexual and gender-based dress codes in Ontario’s restaurants. According to the report, sexualized and gendered dress codes will no longer be tolerated in Ontario’s restaurants. Employers expose themselves to significant liability if they have discriminatory dress codes or if they fail to fulfill their duty to accommodate. We wrote on this topic here and here, and presented a webinar which is available on demand here. Earlier this year, in Doyle v. Zochem Inc., the Ontario Court of Appeal awarded a woman who was sexually harassed and then fired after lodging a complaint the following: wrongful dismissal damages ($55,849.99), human rights damages ($25,000), and moral damages ($60,000). Significantly, much of the same conduct was relied upon to justify the awards for both moral damages and human rights damages, as the court found that the different types of damages serve different purposes. Also, the court reaffirmed that pre-termination and post-termination conduct may be considered for an award of moral damages, provided that it is “a component of the manner of dismissal”. As Stuart wrote in this First Reference Talks post, while the decision shows a willingness to award greater amounts than have been awarded in the past, as well as to award both moral and human rights damages where appropriate, the court only awarded $85,000 despite clearly feeling strongly about the inappropriate conduct of the employer. Recently, the trial judge in Galea v. Wal-Mart Canada Corp. awarded in excess of $1.6 million in damages, including $500,000 in punitive damages and $250,000 in moral damages, as a result of corporate behaviour that was found to be mean, highhanded and reprehensible. Notably, the award included $50,000 for Wal-Mart’s post-termination conduct, including its decision to stop salary and benefits continuation less than a year after dismissal and its conduct during litigation. During the course of litigation, Wal-Mart failed to meet its obligations to produce documents in accordance with the Rules of Civil Procedure, produced key documents in piecemeal, much of it only when ordered to during trial, and adduced inconsistent evidence through documents and oral evidence; the court found that this unnecessarily complicated the case and that Wal-Mart should have reasonably contemplated that these tactics would cause her mental distress. The court also confirmed that Ontario law does not require medical evidence to prove mental distress in an employment context, as clarified by the Supreme Court of Canada in Saadati v. Moorhead. Read our blog post on the Saadati decision here. Given our courts’ history with this type of damages award, it is quite possible that this decision will be appealed. We note that the plaintiff in this case was represented by our former firm, Rudner MacDonald LLP. Marijuana in the workplace has been a hot topic this year, and that does not surprise us. Stuart and other members of our team have led several seminars on this topic, written about it, and coached our clients on how to address it. In recent years, we have seen the acceptance and proliferation of medicinal marijuana, which has been legal in Canada for a while. Use of medicinal marijuana significantly impacts the workplace, as employees have the right to be protected against discrimination on the ground of disability and employers have a duty to accommodate employees up to the point of undue hardship. Further, given that we are getting closer to the legalization of recreational marijuana use, anticipated to occur in the summer of 2018, employers need to be prepared to differentiate between different types of marijuana users that they may encounter, as each will have different entitlements to accommodation. For instance, there is no need to accommodate casual/recreational users, but those with addictions must be accommodated. Like alcohol, marijuana should never be allowed to interfere with an employee’s duties. However, employers may have to accommodate those who use marijuana for medicinal purposes. 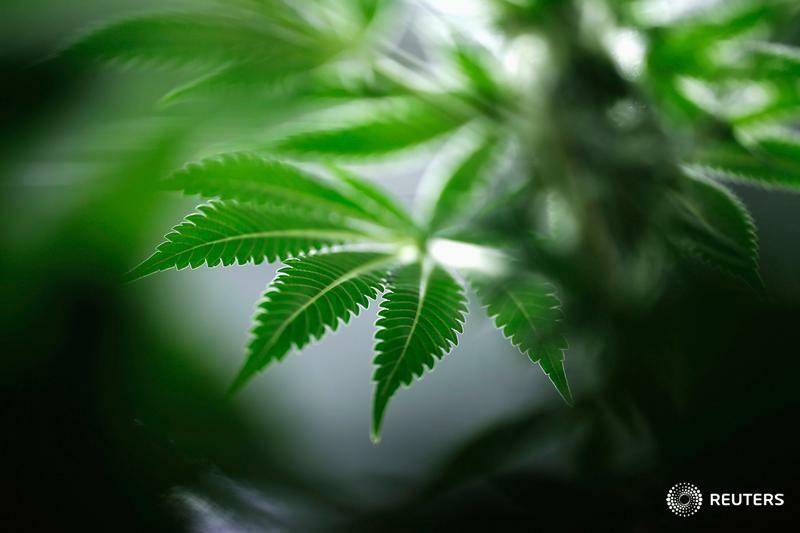 There is widespread misapprehension of the impact of marijuana on the workplace, and many employers react viscerally to a subject they don’t fully understand. They often fail to realize that even now, they may have employees that use marijuana recreationally, and they may also have employees that come to work impaired by prescription medication. Marijuana is, in many respects, no different. In light of the above, employers should ensure that their drug and alcohol policies are drafted to address the relevant issues, and must avoid hasty reactions or responses based on prejudice or stereotypes. A proper procedure for responding to requests for accommodation is critical. There is widespread confusion regarding the accommodation of illness and disability. Some employers demand information that is entirely inappropriate, and others are so scared of privacy laws that they don’t ask for any documentation at all. Employees have a role in the accommodation process and must provide information sufficient to allow the employer to assess the need for accommodation and the options available. However, employers cannot request extraneous information, and should focus on the limitations on the employee’s ability to carry out their job functions. In 2017, the Ontario Human Rights Commission released its newly updated Policy on ableism and discrimination based on disability which includes important guidance on the medical documentation to be provided when a disability-related accommodation request has been made. This policy confirms the advice we routinely give our clients: focus on the limitations and not the disability. It is a good reminder to both employers and employees regarding their obligations in the accommodation process. For further details, read our blog post. On a related note, the Ontario Court of Appeal has confirmed that in certain circumstances, it is reasonable for an employer to demand an Independent Medical Examination (IME) to determine whether an employee needs accommodation and if so, how. In August 2017, the court denied leave to appeal the Divisional Court’s decision that found the employer was justified in requesting an IME as part of the process of accommodation. We wrote about this decision here. Normally, all employment income earned from new employment or self-employment during the notice period would be deducted from an award of pay in lieu of common law notice. However, the Ontario Court of Appeal in Brake v. PJ-M2R Restaurant Inc. chose not to deduct income earned from a job that was far inferior, both with respect to prestige and compensation, than the one that the Plaintiff previously held. In this case, the employee could not afford not to work. When she was unable to find a management job like the one she was dismissed from, she worked various low-paid cashier and retail jobs. The assumption is that all such earnings would be deducted from her entitlement to damages. However, the court held that if an employee resorts to substantially inferior employment post-dismissal, then the income from that employment is not considered to be mitigation income. In other words, if the new job is not comparable employment “such that the employee would not be in breach of the duty to mitigate if she turned it down, the earnings should not be deducted.” This was an interesting and somewhat surprising decision as the prevailing wisdom has generally been that any income from new employment is to be deducted. The court also confirmed that unlike pay in lieu of notice pursuant to common law, statutory entitlements to termination pay and/or severance pay are not subject to mitigation. Rather, an individual is entitled to those amounts even if they find new work the very next day after being dismissed. For a more detailed discussion of this case, read Stuart’s First Reference Talks post. The issue of whether a dismissed employee is entitled to accrued bonuses and/or bonuses that would have been paid during the notice period is one that has been subject to inconsistent judicial treatment for several years. In 2015, the Ontario Superior Court of Justice in Kielb v. National Money Mart Company upheld a harsh contractual clause significantly limiting the employee’s bonus entitlements upon termination. In that case, the plaintiff was a lawyer, and there was evidence that there had been extensive negotiation of his employment contract and the bonus provisions in particular. The bonus was to be a significant portion of his compensation. The clause stated that he had to either be actively employed at the time of the bonus payout, or be within the statutory notice period. The court held that he clearly understood what the clause meant and it was “unambiguous in its restrictive nature”. The court found no reason to stray from the clear wording of the contract and award him the bonus. In 2017, this decision was upheld on appeal. The decision in Kielb seemed to be at odds with prior decisions, which were more inclined to find that there was no reason for an employee to lose out on a bonus that had already been accrued simply because it had not yet been paid out. The Ontario Court of Appeal addressed this issue twice in 2016, in Paquette v. TeraGo Networks and Lin v. OTPP. The decisions suggested that most contractual provisions limiting the entitlement to bonuses to those employees “actively employed” would not be sufficient to displace the common law entitlement. The decisions affirmed that if a bonus forms an integral part of an employee’s compensation, it should be included in the assessment of their entitlement if dismissed without cause. They suggested that in order to oust an employee’s entitlement to bonuses during the notice period, the terms of the bonus agreement must unambiguously alter or remove the employee’s common law right to damages, which include compensation for the bonuses that would have been received while employed and during the reasonable notice period, although it was unclear as to how that is to be done. Most recently, the Ontario Superior Court considered the issue in Fulmer v. Nordstrong Equipment Limited, which seems to take a different approach. In that case, the employee had received a discretionary bonus throughout his six years of employment. The employer attempted to rely upon an “unofficial” bonus policy of not paying bonuses to employees post-dismissal. The court clarified that where employers lack clear bonus policies, courts will look to what is fair and reasonable in the circumstances in assessing the employee’s entitlement to bonus as well as its quantum. In this case, there was no employment contract, and the termination letter was silent on post-dismissal bonus entitlement. The court looked at the employer’s past practice and refused to support an arbitrary or unfair application of the “unofficial” bonus policy, and in fact, made a negative inference against the employer for its attempt to justify such a policy. While the employee “won” with respect to accrued bonuses, the court refused to award a bonus during the reasonable notice period, as the purpose of reasonable notice is to serve as a bridge to next employment. This decision serves as a strong reminder for employers that bonus policies should be clearly set out in writing and implemented in a consistent manner. Employers would also be wise to include such policies in employment contracts, clearly stating eligibility requirements (or lack thereof) upon termination. To learn more about bonus clauses in general, read our blog post. In recent times, our firm has written about the dangers of accepting resignations too quickly and the need to allow an employee who purports to quit some time to cool down and reconsider. As Stuart’s First Reference Talks post discusses, the Ontario Court of Appeal adopted a similarly protective approach in the context of “the unintentional dismissal”. In Sweeting v. Mok, the plaintiff worked as a nurse in a small medical office. There was ongoing friction over various matters in the workplace and, during one particular exchange, the defendant said to the plaintiff: “Go! Get out! I am so sick of coming into this office every day and seeing your ugly face.” The court found that the working relationship was destroyed, constituting a constructive dismissal, and awarded 24 months’ pay in lieu of notice. On appeal, this decision was upheld. The decision reinforces the onus on employers to behave reasonably and in good faith. Losing one’s temper and acting based on emotion can result in significant liability. Over the past few years, changes under the Accessibility for Ontarians with Disabilities Act, 2005 (AODA) have been rolled out. In January 2017, requirements for small organizations (less than 50 employees in Ontario) pursuant to the AODA came into effect, including several requirements set out under the Information and Communication Standards as well as the Employment Standards (two of five of the accessibility standards created under the AODA). Large organizations have been required to comply with these Standards since January 2016. It is critical that employers stay on top of the changes that come into force and ensure compliance. Read our blog post for more information. The Stronger, Healthier Ontario Act (Budget Measures), 2017 was passed in May, and it included amendments to the Workplace Safety and Insurance Act, 1997 (WSIA). The changes recognize “chronic mental stress” as a compensable injury and broaden the meaning of “traumatic mental stress.” The Workplace Safety and Insurance Board (WSIB) introduced new policies in this regard. As of Jan. 1, 2018, workers will become entitled to WSIB benefits for chronic or traumatic mental stress “arising out of and in the course of the worker’s employment”. However, these amendments may limit an employee’s right to sue his or her employer for workplace harassment and bullying, including for damages pursuant to the tort of harassment or the tort of intentional infliction of mental suffering. For further details, visit the Work-Related Chronic Mental Stress Policy Consultation page. The whirlwind of developments last year goes to show yet again that employment law is still a work in progress. As the social climate continues to change and the law continues to evolve, employers must stay up to date and take proactive steps to minimize their risks rather than waiting for something to go wrong and then trying to minimize the damage. In 2018, it will be even more important for employers to develop a good working relationship with employment counsel. That way, they can ensure that they comply with legislative changes, adopt a strategic approach to HR, and develop processes to minimize liability. Both employers and employees should seek legal advice before making any decision that could impact their legal position. No one should make assumptions regarding what the law “must be”. Doing so can mean that an individual sacrifices their rights (by, for example, signing an oppressive contract) or leaves money on the table at a time when they have lost their source of income, and it can expose employers to significant risk with respect to legal liability, public perception, and staff morale. If all employment law issues were “obvious”, then we would not see so many important decisions and developments each year. Nadian Zaman is an associate at Rudner Law in Toronto.